Daily Illuminator: Ooo, Pretty Lights! 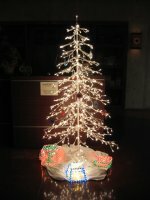 December 12, 2006: Ooo, Pretty Lights! 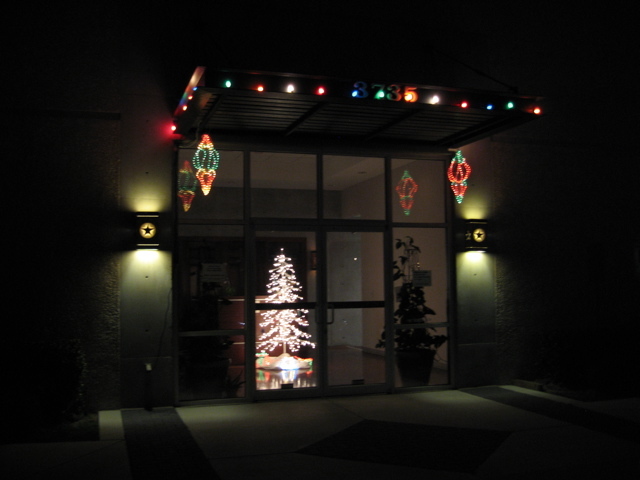 We decorated the new offices inside and out for the holidays . . . the hanging decorations at the front corners are big clunky things when you pick them up, but in scale to the building they're perfect. In my younger days I was intolerant of metal Christmas trees, but in the right setting, I now think they're sort of spiffy. 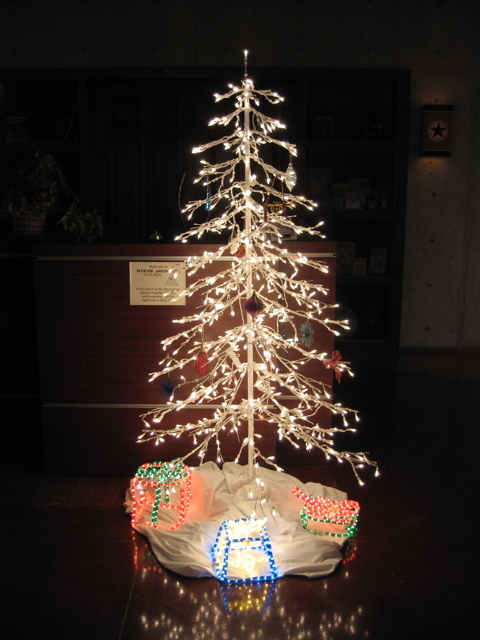 And the white lights go very well with the rope-light "presents" (I want to find some more of those!). You can't see them, but there are old-fashioned non-lighted non-shiny decorations hanging from the tree.